There is barely a more rewarding marketing activity today than content creation. It’s useful for your audience – and it works for your brand. But as meaningful as it is to produce your own content, publishing and distribution remain a huge challenge for companies of all sizes. While reading an insightful article from Noah Kagan, I got one of those moments of clarity. As prolific as you can be in content creation, you always rely on rented platforms to spread your messages, whether it’s Google, Facebook or Twitter. One day, these platforms may change their policies and algorithms and leave you out. And there would be nothing you can do about it. In a sense, many brand content publishers today are at the mercy of external platforms. The way out of this? It’s all about building your own audience. Instead of relying on the audiences of other websites, you can gather valuable content and emails of relevant audiences and share the best content with them. That’s how you can own the destiny of your brand’s content assets and your distribution platform. This revelation got me thinking about curated newsletters. I decided to experiment with building one for Hubstaff. Why did I go this way? Because curated content emails can be more attractive for your audience. Your blog newsletter is certainly valuable and serves a great purpose, but it focuses only on the content you have produced. With a curated one, you’re showcasing to people the very best picks on the web. Besides that, the cost of creating a curated newsletter doesn’t need to be high. I read a ton of articles every week anyway. I realized I could easily handpick some of them and build a high-quality curated newsletter with minimum effort. To help you kickstart your own curated newsletter, I’d like to share with you the 5-step formula that we put in practice here at Hubstaff to create and scale our own curated content newsletter. It’s easier than you think – and it’s bound to bring a fresh audience for your marketing work. Want to see our bonus pack of special tips on how to scale your curated newsletter? Sign up here! Before you launch your newsletter, there’s a bit of background work to be done. Your very first step is to learn all about your competitors’ efforts on curated newsletters. Check out how many brands are already making something similar to what you have in mind. For example, if there are already too many newsletters on growth hacking or SааS marketing, it’s better to find a new field to conquer – your very own mini niche. Otherwise it will be hard to attract subscribers if you are not offering something different. After you’ve oriented yourself in the sea of newsletters, it’s time to research the best-performing ones. The goal? To understand what is the secret sauce that makes them successful. We took a close look at Remotive, which is a personal favorite of mine. The guys are using advertisements to fund the project. 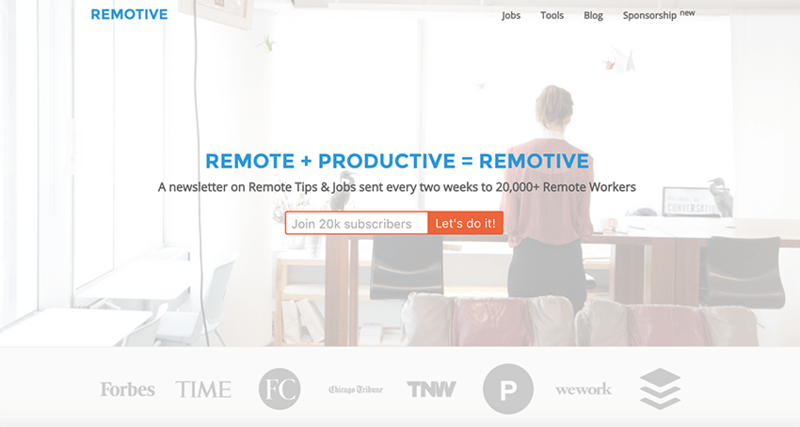 Besides offering highly relevant content for remote workers, focusing on productivity and hacks, the newsletter and website offer remote job offers, which is certainly contributing to Remotive’s success: 20,000 subscribers! We’ve also explored other newsletters, such as The Craft by Nichole Elizabeth DeMeré, which is a paid service ($5 to subscribe), the SaaS Weekly by Hiten Shah, which targets SaaS marketers and business owners and is community-curated. The next step that we undertook at Hubstaff – and you should too – is to define the perfect audience for the curated newsletter. Our reasoning was the following. For this newsletter to work, people who receive it must find it highly relevant. Our goal then was to build up an audience that is the perfect consumer of this newsletter, of our blog content and, eventually, of our product. That’s why we decided to focus on agency owners, executives, managers, and business owners since they most closely match this profile. This is a good way to select your own target subscribers as well. We approached the persona shaping in the same way as you would do for your content marketing strategy. We included a number of characteristics to consider, such as age, gender, occupation, location, interests and insight into the persona’s pains and needs. Before actually going after these target personas, we did thorough research and examined numerous agencies’ case studies to understand what their problems are. This is also an excellent way to pick up topic ideas for the actual newsletter. Once we had outlined the kind of people that I would like to target with Hubstaff’s curated newsletter, it was much easier to go ahead because we had a clearer sense what the newsletter should look like. 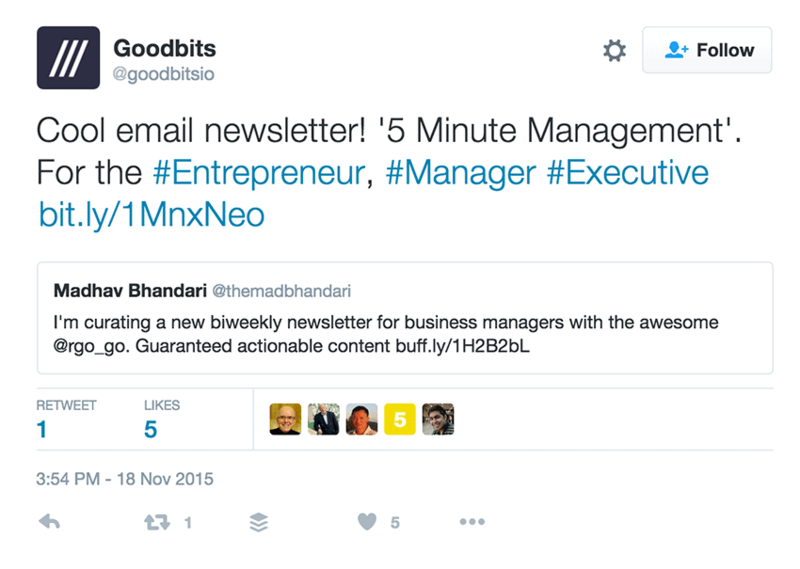 That’s how our curated newsletter 5 Minute Management was born! After having done extensive research on topics and audiences and shaping the idea behind the newsletter, the next step is to decide on a curated content newsletter service. We opted in for Goodbits because the 200-subscriber free plan was a great opportunity to validate the curated newsletter approach. I had set a personal goal – to reach 150 people within two months of the first newsletter issue. If not, I had decided to rethink the strategy or even drop it. Setting goals in a timeframe is great for testing new ideas! So we reasoned that if we could reach 200 people, Goodbits’ free limit, that would make us confident enough that there is an audience for our newsletter. Plus, if our list grew, Goodbits charges $25/month for 10,000 subscribers, which we found a good deal. I built the landing page with Goodbits within minutes! No coding involved. It was that simple. We asked our colleagues to send us the articles they’ve been reading lately and sifted through them as well. Using these four steps, we had content for the first six issues of the newsletter in no time! Then we used a smart trick: we sent out the first issue to two subscribers only – Rachel and myself. Why? Because it’s important to have at least one issue in your Goodbits’ archive before you start promoting the newsletter to people. In this way, they can see what they are signing up to, so they can better judge what to expect. We’re getting to the most interesting part of developing your curated content newsletter: scaling it like a pro. Here are our top actionable strategies for doing that. Our first job with Rachel was to set our time limit for working on subscriber acquisition. We decided we will spend less than four hours per week in total on this to ensure that the ROI of the whole project is positive. We tracked our hours with our very own Hubstaff, which allowed us to be aware and strict with our time and complete the tasks in less than three hours per week in total. Twitter: We shared the newsletter via our personal accounts and pinned it on our profiles. Reddit: We shared the link to the first issue of the newsletter on a subreddit as a part of a text post, saying that we are building a newsletter especially for the audience of that subreddit (direct fit for our intended audience, by the way). The next morning, we woke up to find 16 upvotes on my post and 47 subscribers! Both Rachel and I went crazy over it. The reason for all the happiness? We got an audience! In fact, the issue that went out to this audience had an open rate of almost 70%! Goodbits: We asked the Goodbits team, our service provider of choice, to share our newsletter with their own audience on social media. They helpfully did us the favor, which also helped acquire new subscribers. Quora: We identified a couple of questions on Quora that were highly relevant for first-time managers. We set on to answer them in the most helpful way possible, basing it on our own experience. Then we also linked our answers back to the newsletter signup. In this way, if people wanted to stay up to date with our insights, they could easily subscribe. Only this got us about 10 new subscribers in a month. We placed a link in the newsletter so that readers could easily share it online or recommend it to coworkers via email. That’s the feeling when your marketing plans bring exactly the results you have expected! By following these steps, we hit 213 subscribers a week before 2015 ended, meaning less than two months after the first issue. Goal achieved! By the first week of 2016, we had about 400 subscribers. The newsletter’s subscriber base growth was pretty solid. Especially considering the fact that we didn’t spend a single penny on paid ads and were working just about 10 hours a month on the project. Building a newsletter can be a very rewarding endeavor, so it’s important to learn how to track all of this traffic and make sense of the efforts you’re putting in. That’s how you can see which types of activities bring the maximum results. The first tip for tracking traffic is to use goo.gl links whenever you can. This allows you to review the number of clicks the link has gotten in the last two hours, day, week and month. Another handy and easy approach to tracking the traffic from your curated newsletter is to use UTM tags as much as possible. In practice, this is a code that you place at the end of the URL. It allows you to track the source, medium and campaign. In this way, Google Analytics can identify where queries came from and which campaigns pointed towards your link. Last but not least, it’s also a good idea to move to a premium account in Goodbits. It will give you a thorough insight into the clicks and opens of your newsletters, as well as content-level analytics. What we found out at Hubstaff after experimenting with our curated content newsletter for more than half a year is that there is a huge marketing potential in this project. That’s why we had to pull the plug on the 5 Minute Management newsletter in April. Even though our audience had grown to a fairly large community, we weren’t seeing actual conversions. Curated content newsletters, as it seems, are one of those strategies that need years to start working – and are not one of the quick “growth hacks”. We still managed to turn the situation in favor of our community, though. Instead of losing the audience we had built, we merged this newsletter with our main Hubstaff newsletter. As it would have been unfair to just move our community to a new newsletter, Rachel and myself curated the next six issues of 5 Minute Management as a weekly column in our main newsletter. We explained to our subscribers when we announced the transition and immediately gave them the option to unsubscribe if they didn’t want to be part of the new endeavor. Yes, we did discontinue our curated newsletter, but that doesn’t mean it won’t work out for you. Fancy giving it a go at your company too? 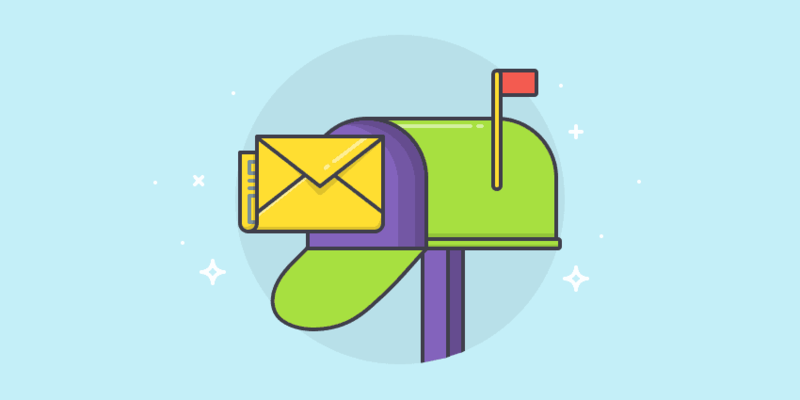 Follow the 5-step formula for developing a newsletter that we outlined on the basis of our hands-on experience, then just go wild with one of our 8 secret strategies to scale your curated newsletter! Check out our extra tips for scaling a curated newsletter: Sign up here! Have a great tip for building and scaling a curated content newsletter? We can’t wait to hear from you in the comments!